The AR 15 rifle is one of the most customizable rifles found to date. 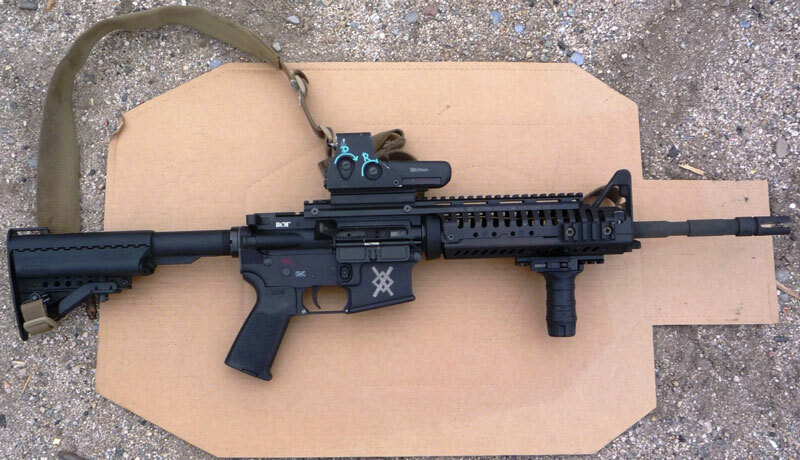 Different owners of this rifle will have different variations of AR 15 rifle. When choosing an AR 15 for yourself, be it for hunting, protection or any other function, you got to choose among the diverse operating systems that the rifle comes with, that is, direct impingement or the gas piston. If you are curious about which rifle to choose for at the first place then, have a look at the DI vs. Gas Piston and then make a conclusion. When you fire a bullet in your AR 15, it creates a small explosion in the chamber. This small explosion produces gas, which is required to go somewhere. The only way for the gas to pass is to travel down the barrel, and then it hits the gas block. The gas then makes a U-turn and returns to the chamber through the gas tube. After this procedure is complete, the gas hits the bolt carrier group and then pushes it back in the buffer tube. Then, the gas is dispelled, and the buffer spring pushes the bolt carrier group (BCG) back where the gas chamber's other bullet or gets locked in the place if the magazine of the rifle is empty. The uppers of Direct Impingement AR 15 rifles are lighter than that of the Gas Piston AR 15 rifle. This is because of the fact that the DI systems have quite less moving parts, it includes a gas block and gas tube. These two parts make the weight of the system light. Generally, the DI systems are considered less expensive than the gas piston systems. It is clear that the low price is because of the fewer parts that it comprises. You can find the replacement parts of Direct Impingement anywhere you go. So, if you go somewhere and break any section, you will not have to worry because you can address the parts and correct them at ease. When you fire a DI gun, all of the moving is internal while shooting a gas piston rifle creates an external moving, which can also lead to instability of the rifle during the fast firing. The main difference between the Direct Impingement system and Gas Piston system AR is that instead of the gas tube, gas piston AR 15 rifle has an original piston drive rod. After you fire the bullet, the gas travels down the barrel, and then it reaches to the gas block. The gas then pushes the piston system and escapes out of the gas block, instead of going back to the receiver with the help of a tube as is done in direct impingement system. After the procedure is complete, the gas pushes the piston back into the receiver, which in turn moves the bolt carrier group back. No doubt, piston gas rifles run exceptionally well. This is because no gas element runs back into the upper receiver. These rifles run a lot cleaner and cooler than the direct impingement rifles. No matter what you run through, both of them for their testing, a gas piston gun will always come out to be cleaner among the two of them. The residue that is left on the upper receiver chamber in the direct impingement guns creates malfunctions in the rifle, whereas, no such thing can happen in a gas piston rifle. Both, the direct impingement rifle and the gas piston rifle, need to be well lubricated for their better functioning. Finally, which of the two guns should you buy? Both of the AR 15 rifles come with perks and downfalls. Consequently, there is no denying of the reality that in the DI vs. Gas Piston both of the rifles come out as winners. Every decision depends on your goals of usage of the rifles. If you are looking for something that requires less maintenance and does not demand cleanliness, then you should go with the gas piston rifle. However, if you request something that has an excellent array of options, you should look for the direct impingement rifle.